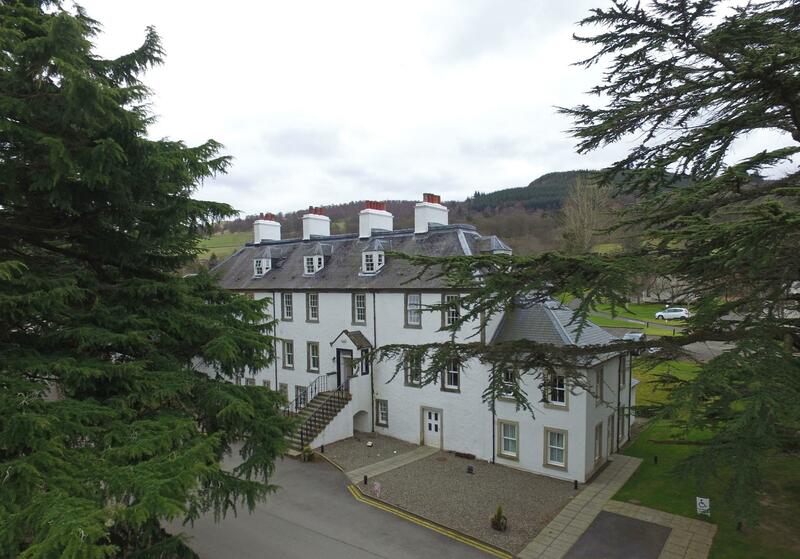 ﻿ Moness House Hotel & Country Club Aberfeldy. JIMAT di Agoda.com! Ada soalan mengenai Moness House Hotel & Country Club? Terletak di Pusat Bandar Aberfeldy, Moness House Hotel & Country Club merupakan tempat menarik untuk memulakan pengalaman di Aberfeldy dan kawasan sekitarnya. Dari sini, tetamu boleh menikmati akses mudah kepada semua yang bandar meriah ini boleh tawarkan. Tidak kurang hebat adalah akses mudah hotel untuk ke pelbagai daya tarikan dan mercu tanda bandar, seperti Artisanand, Temple Gallery, Fields Of Perthshire. Moness House Hotel & Country Club menawarkan perkhidmatan yang sempurna dan semua kemudahan penting untuk menceriakan pelancong. Untuk menamakan beberapa kemudahan di hotel ini, terdapat Wi-Fi percuma semua bilik, meja depan 24 jam, fasiliti tetamu kurang upaya, simpanan bagasi, Wi-Fi di tempat awam. Semua penginapan bagi tetamu menawarkan kemudahan yang difikirkan dengan teliti bagi memastikan rasa selesa yang sukar ditandingi. Hotel ini menyediakan kemudahan rekreasi yang baik seperti tab panas, sauna, padang golf (dalam jarak 3 km) , kolam renang tertutup, spa untuk membuat penginapan anda benar-benar tidak dapat dilupakan. Apabila anda mencari penginapan yang selesa dan mudah di Aberfeldy, ijadikan Moness House Hotel & Country Club sebagai rumah anda seperti berada di rumah sebenar. Went here for a romantic get away. Staff were excellent and the facilities are great. Love the hot tub next to the pool. food is very good too. the resort and hotel are lovely. The only thing that lets this place down is the terrace bar / cafe area which is very "tired" and need redecorating / updating. I highly recommend this for a lovely break away from the bustle of city life. Can't wait to go back! we arrived at the moness about 5pm and our room had been given to some one else. we were treated very badly by the staff in charge we had to accept another place on the sight which they clamed was an up grade. the bed was so hard we had bad backs and sides so one of us slept on the soffa. the food in the restaurant was bad.the steak was over cooked and covered by the other food on the plate and was greasy.at breakfast the porridge was full of salt,i asked for porridge without salt they said they didnt do any. the toast tasted horrible and soggy and had a burnt smell. We arrived earlier than expected and luckily our room was ready, very helpful staff on reception, although this may have something to do with the multiple conversations i'd had with them prior to arrival. We were not disappointed with our room - very big kingsize? bed plenty space, double cupboard and ressing table with haridryer, tea/coffee making facilities and bottled water. 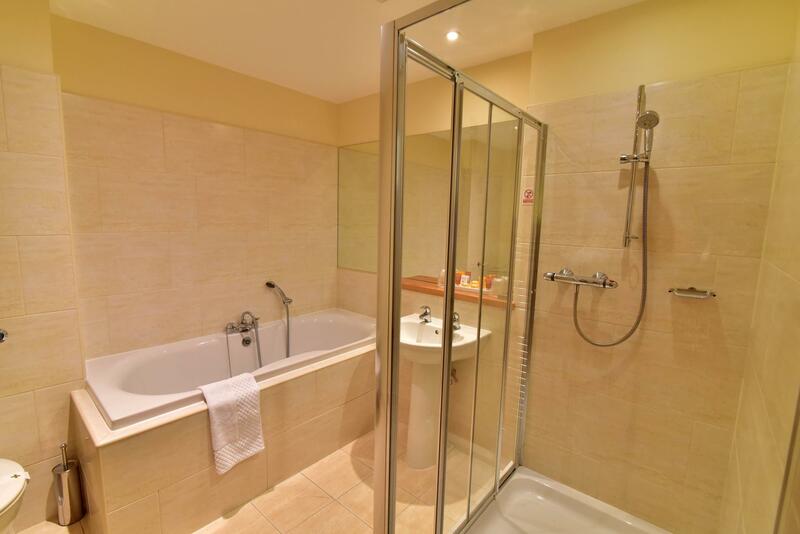 The bathroom to me was exceptional a large deep bath that suited my husband well as he is 6'4" but also had a separate shower cubicle with a door which meant the floor didn't get wet while using the shower. We booked for dinner with my inlaws that evening as they were staying in a cottage at Moness too. The service was excellent and the girls did well seeing as they also served us breakfast the following morning so a late night/early morning for them. The food was beautiful, not the best i've tasted but very delightful. The only down side of the stay was that there didn't appear to be a separate lounge bar for residents to sit in. The terrace bar was nice and luckily for us the weather was scorching so you wanted to be sat outside but could see this being a problem if the weather was inclement as there are only a few sofas in the bar area and also this is where people were eating a less formal dinner and i know i wouldn't have been too impressed had i been eating dinner and people were watching say, a football match where things could get a bit excitable so a separate lounge bar for this reason would be better. But all in all we had a fantastic stay and would recommend to others. we had a good couple of days at moness the staff were friendly and helpfull nice location for a peacefull weekend, breakfast was at a good time for the weekend meant you didnt have to hurry as it was on from 8;30 till 10;30 on sunday only disappointed we had to be out of the room by 11am. 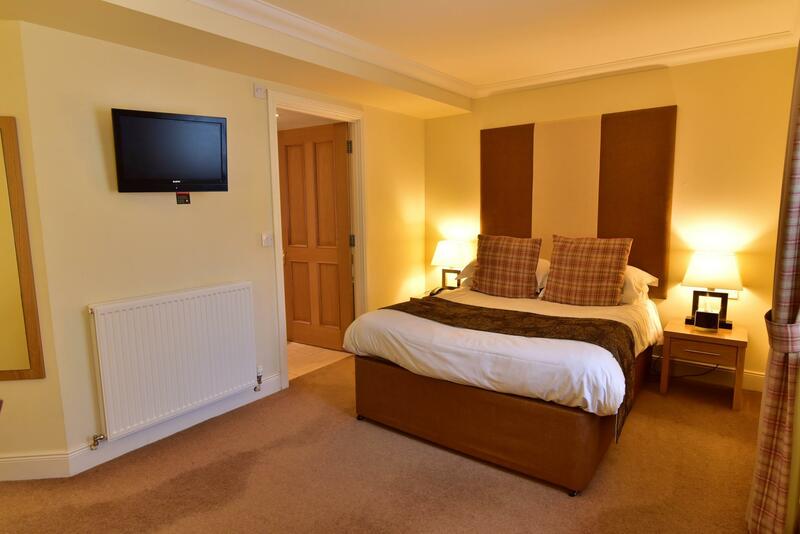 If you are looking for a lovely romantic break away then I would suggest the Moness Hotel, Aberfeldy. It really is great. De bons équipements et un beau site.